In this kayaking set, you will find not only a soft and comfortable seat but also a footrest. So even if you are kayaking for a long time, it will not be too tiring. Some users find the quality of the oar not that good. If you seek the type of paddleboard you could ride both on calm water and on the water with the tranquil or medium flow, there's hardly a better option than this Bestway 65069 model which has just the right dimensions for that. The maximum weight this paddleboard can withstand is as much as 190 kg, which makes it suitable for use by two paddlers. Relatively low pump power: it takes more time to inflate the board. This is an ideal paddleboard for those who look to buy a board that would be suitable not only for calm drifting on the water but also for racing. 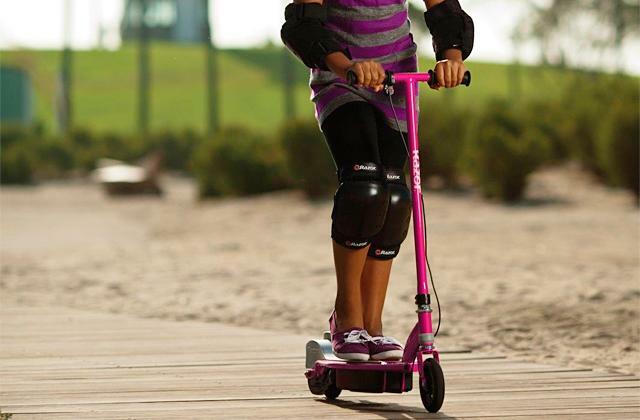 Manoeuvrable and stable, it will bring a lot of fun to your family outings. The board strap serves for convenient transportation of the already inflated SUP. 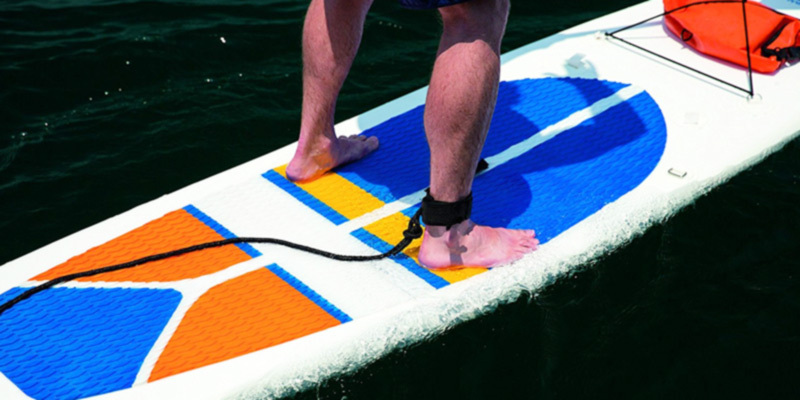 Holding the strap, you will quickly carry the board from the beach to water and back with ease. The maximum load is relatively small. 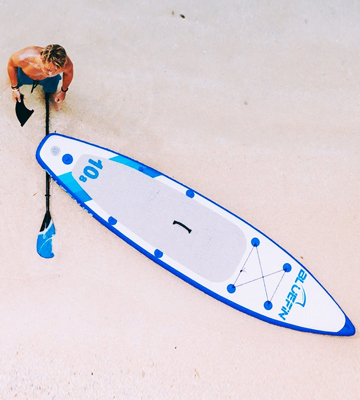 This Sportstuff paddleboard comes fitted with just one fin, meaning it's best suited for beginners who have never touched a paddleboard before but want to learn to stay on the water with confidence. Thanks to the unique Super Tough DualStringer ™ Technology that keeps two layers of PVC securely bonded together, the risks of cutting the board against stones is minimal. Inserting the fin into the slot may feel rather tight at first. Designed in a special form, the Aquamarina VAPOR is suited equally well for quiet walks on the water and riding at high speeds. This model is made of high-quality and durable materials. Besides, it can withstand the pressure of up to 22.5 PSI. Thus, this board can boast striking rigidity comparable to that of solid-type boards. The touring-board from Two Bare Feet is specially designed for long-distance travels with minimum efforts. Now travelling by water will be even easier and more affordable. The Bestway company produces, develops, and sales innovative sport and leisure products of the highest quality. In the pursuit of customer's satisfaction, specialists working behind the company do their best to make their products top shelf and suitable for all skill levels. The range of products crafted by Bestway includes surfboards, ground pools, inflatable air mattresses, inflatable boats and, of course, paddle boards, one of which we'd like you to review. The Bestway SUP & Kayak Set is the kind of product that has the features both beginners and advanced users will highly appreciate. It is an inflatable stand up paddleboard which can withstand the load up to 209 pounds (120 kg). It is designed so that it provides enough space for the feet of a paddler and features a non-slip pad for better traction with the surface of the board. 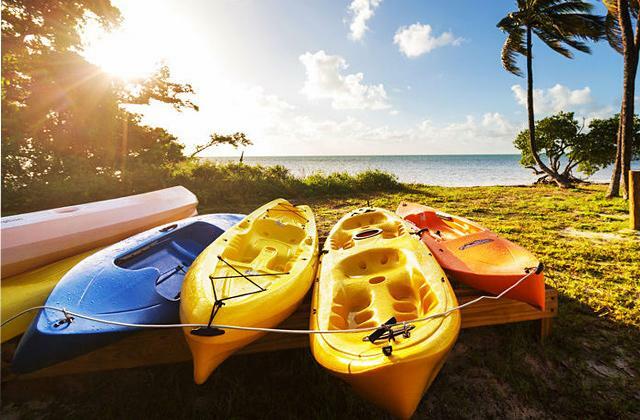 However, the biggest advantage of this kayak set is that it has a seat with a backrest allowing you to use it not only as a paddle board but also a regular kayak. Thanks to the three modelled fins, you will feel stable while being on the water and will be able to control the board with minimum efforts. Another advantage of this paddleboard is that it is very convenient in terms of transportation and storage due to its inflatable design. All you need to do is deflate it and put in a special bag (which comes in the kit). When inflated, however, the board doesn't feel flimsy as one might expect and provides firm support, just like a real solid board. 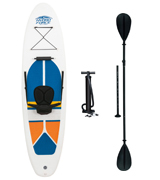 To make the Bestway stand up paddleboard even easier to use, the manufacturer fitted it with a deck carry handle and a steel tow ring. Undoubtedly, this model is a perfect choice for paddlers who are going to explore the quiet and moderate water. 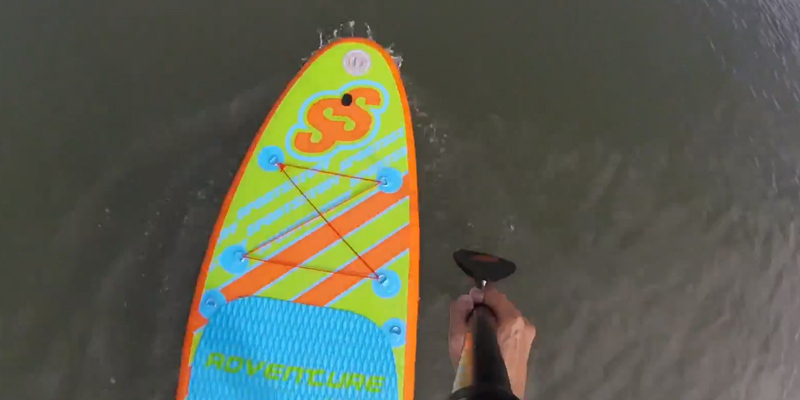 Can an inflatable SUP board go faster than a solid board? If it's the Bluefin Stand Up Inflatable Paddle Board iSUP, the answer is definitely "yes"! Due to the optimal ratio of its length and shape, this paddleboard allows you to ride with minimal resistance and maximum comfort. Thanks to the overall dimensions of 77 cm in width and 327 cm in length and thickness of 6 inches, the Bluefin Stand Up Inflatable Paddle Board is suitable both for experienced paddlers and for beginners and safe for paddling on any water including mountain rivers with stones. The construction of the board is made of a durable and strong military-grade PVC with overlapping seams that make it protected against all kinds of punctures and damage. The detachable fins are elastic to withstand impacts of rough water and rocky bottom. The sides of the board are reinforced and feel sturdy and durable. Speaking of the entire set, it is all well-thought-out. 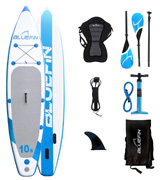 By purchasing the Bluefin Stand Up Inflatable Paddle Board you won't need to buy anything else. All accessories including a repair kit, a pressure gauge, and an air pump come included in the purchase. On top of that, the kit contains a seat that allows for transforming the paddleboard into a kayak, making it one of the most versatile inflatable SUP boards out there. The Bluefin paddle board is ideal for water walks, travelling, SAP yoga, and surfing on small waves. It's perfect for both men and women owing to its modern unisex design. 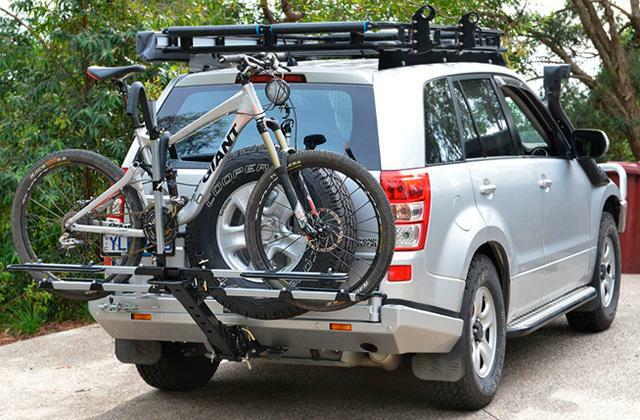 Also, it's great for group kayaking and family touring as it boasts an excellent carrying capacity of up to 190 kg. Manufacturers of all kind of products including paddleboards never stop competing with each other trying to appeal to a wider audience by refining their products and making them as simple and usable as possible. 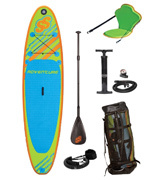 The Sportsstuff 1030 Adventure Inflatable Stand Up Paddle Board hasn't become an exception. Being one of the cheaper models available, it doesn't drag behind more expensive models in the class, boasting great build quality and durability. 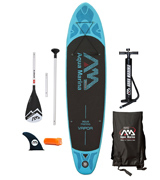 Along with the paddle board itself, the delivery package contains a removable seat that allows using the board as a kayak, high-pressure hand pump, fin and board leash, stainless steel tow rings, and a valve wrench so you don't need to purchase anything else to use it right out of the box. The board has standard dimensions and is shelled with an anti-skid padding for secure footing on a rough river. The board weight capacity of 113 kg is considered average and suitable for carrying not only a paddler but also some additional gear. However, it might not be enough for family use. Like most paddleboards out there, the Sportsstuff 1030 is available in several colour schemes, all looking awesome and ultra modern. Choose the one you like better and look different from the crowd of paddlers. Paddleboarding is a relatively new type of sports which nevertheless has already attracted a lot of fans from all over the world. Paddleboards are perfect for surfing, touring, exploring and conquering waves. 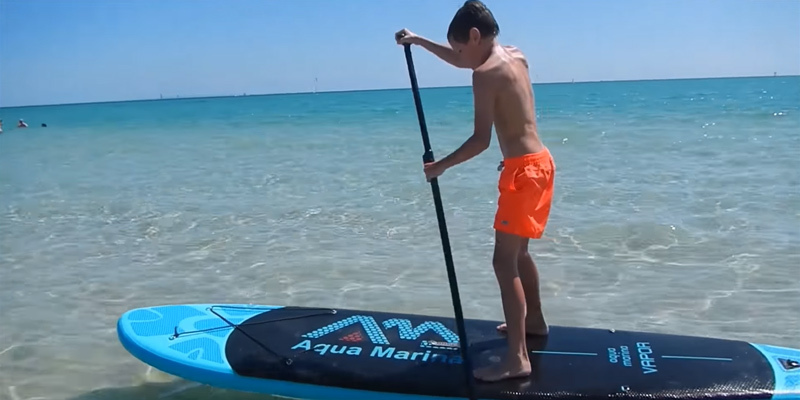 And if you've come in the market searching for a versatile SUP suitable for different exercises and all skill levels, the Aquamarina Vapor 10'10 " Inflatable Stand Up Paddle Board is the type of paddle boards you shouldn't miss. 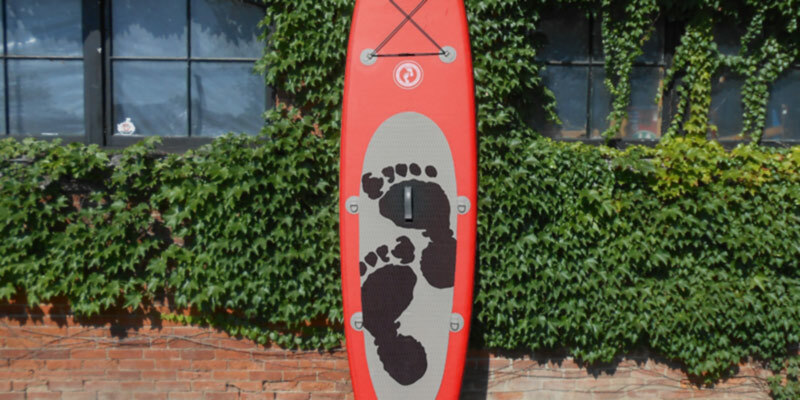 This model of SUP is designed to be used for fitness, yoga, water walks, and surfing. The weight of the board is rather light (9.5 kg), which means it's very manoeuvrable and suitable for paddlers of all skill levels including beginners. With that, the maximum weight capacity of the board is average and suitable for use only by one adult paddler. One of the other things that add to the manoeuvrability of this board is its fin system comprising three units. Thanks to this, you can secure the board while being in shallow water by removing the centre fin so that it doesn't get scratched against stones or rocky bottom. The board hull is made of a two-layer material that does not slip nor heats up in the sun. It has a couple of handles which simplify its transportation when inflated. Furthermore, the board boasts excellent durability and protection against various impacts. Having been tested to withstand various cuts, punctures and other negative impacts that may come your way on the water, the Aquamarina light paddle boards have proved to be a reliable choice one can trust. The Two Bare Feet inflatable board will come to liking to those people that tend to give preference to things that combine both functionality and stylish design. Buying from the Two Bare manufacturers you're guaranteed to get a board that will be suitable for you no matter your experience or skill level. 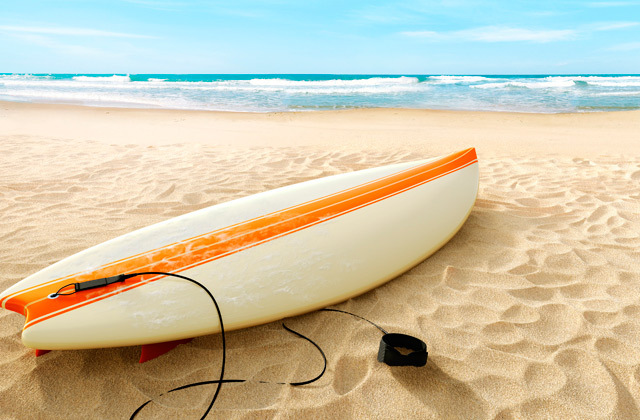 So if you are thinking about buying a paddle board but aren't sure you're proficient enough to ride a pro-grade model, you can safely opt for this inflatable board by Two Bare to master your skills. 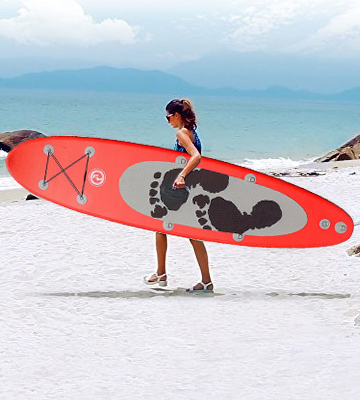 No matter how experienced you are, the Two Bare Feet inflatable board will suit you. Another benefit of the Two Bare Feet inflatable board is that it's easy to inflate/deflate. Requiring only 22.5 PSI of air pressure, anyone can inflate it within minutes using a regular hand pump. The board is easy not only to inflate but also transport. It feels pretty lightweight and won't take up too much space in your bag. And although this model costs slightly less than the above-reviewed paddleboards, it doesn't fall behind them in terms of quality. 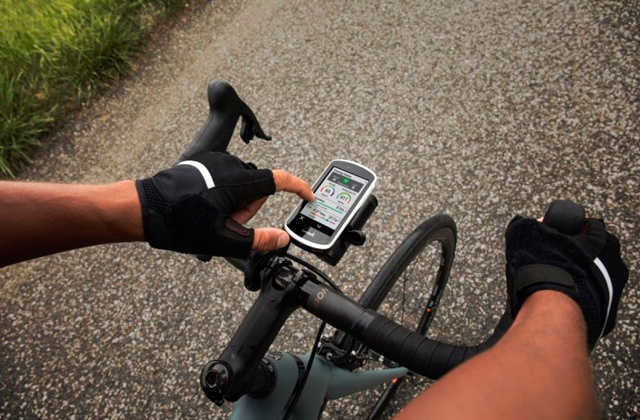 It is made of premium materials that make it reliable and durable. As for the board design, it looks and feels stable and sturdy so that you can get a feeling as though you are riding a solid board. The board has a wide flat deck (80 cm) and is 3.3 metres long. The dimensions are standard and optimal both for swift turns and for peaceful drifting on water. The model comes equipped with three fins (1 in the centre and 2 small ones) and the kit comprises all accessories for comfortable surfing, including an aluminium paddle, a pump, and a repair kit. Surfing is an excellent hobby for those who want to conquer an ocean and enjoy getting on top of wave ridges. Though captivating, it’s an extremely challenging sports activity that will take a lot of time and efforts to achieve a proficient level. For this reason, many people prefer stand-up paddling (SUP) to traditional surfing. Unlike in surfing, when riders sit waiting for a wave to catch, paddlers stand up on their boards and use a paddle to propel themselves through the water. Paddling originated in Hawaii as an offshoot of surfing. A paddleboard looks very much like a surfboard but it is made wider for a better balance and stability on the water. Paddleboarding is relatively easy to master and the health benefits it offers are tremendous. 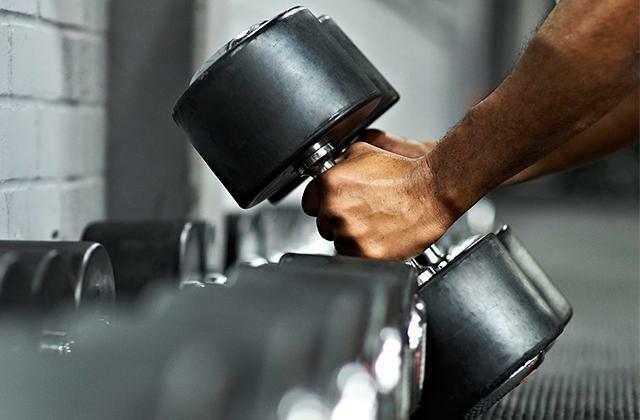 You will not only have a blast out on the water but also get into great shape. Recently, paddling has been gaining popularity as a family activity allowing to paddle on a calm lake or catch waves in an ocean. 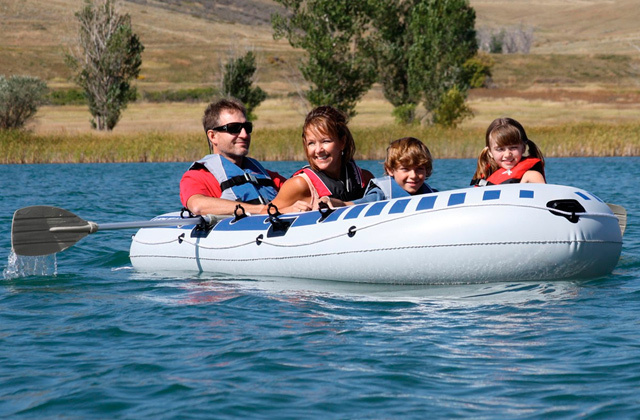 All skilled paddlers will appreciate our review on inflatable kayaks that can bring some new experience on the water. 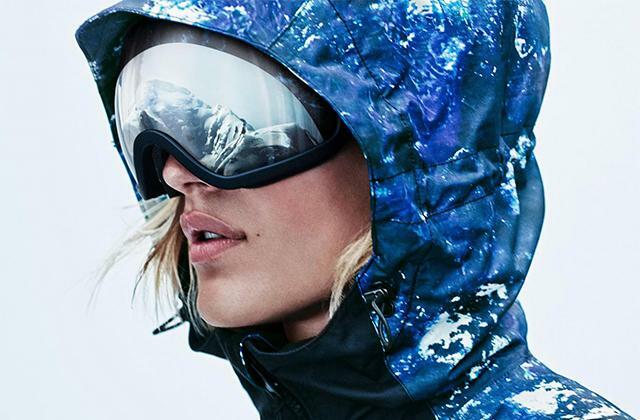 And those who worry about eye protection should certainly take a look at our selection of sports glasses designed for various kinds of sports. There are two major types of modern paddleboards: solid models and inflatable ones, each having its benefits. Solid boards stand out for their rigidity and robustness perfect for a high-speed riding during competitions. However, such boards require special gear for transportation on a vehicle roof. Solid models are usually made of ultralight polyethylene or a combination of laminated wood stringers with EPS, just like the ones used in traditional surfboards. Meanwhile, inflatable models are an excellent option for everyone who lives far from the water and travels a lot. 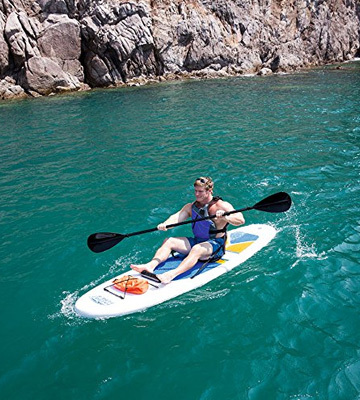 Modern-day inflatable paddle boards provide outstanding steadiness and durability. They are easy to store and transport and won’t take much space in your vehicle. But you will have to inflate the board each time you go paddling. 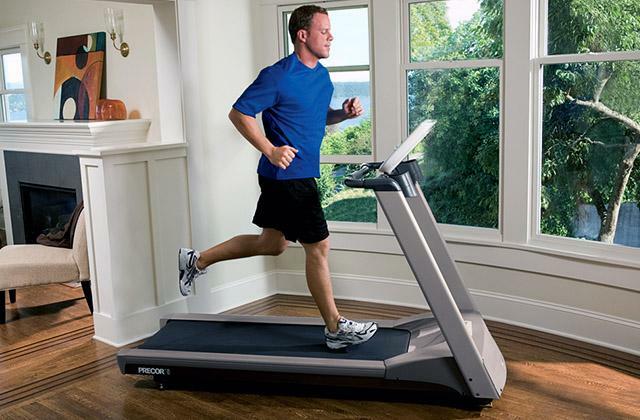 Usually, such models are made of super durable PVC resistant to scratches and damages. However, PVC is not puncture-proof and will require some extra care when paddling in rocky areas. The intended use of the board determines its design. Thus, the models for paddling on the flat water or cruising outside of the surf zone are longer, wider, and feature a rounded nose (planing hull) for maximum stability and better steering. These models are great for beginners for a quick mastering of basic SUP skills, going fishing, doing some SUP yoga exercises or can be even used as ordinary surfboards. The models with displacement hull are perfect for speed paddling but they lack manoeuvrability. Such boards will come in handy for those who plan long-distance rides with downstream descents. The board manoeuvrability and performance largely depend on the number of its fins. Hence, multi-purpose boards for enthusiastic paddlers are normally equipped with 3 fins while the models with a single large fin are ideal for slicing through the water with ease during a race or fitness paddling. We recommend picking the board with the weight capacity sufficient for supporting your body to ensure optimum stability and balance. The weight capacity of most models ranges from 250 to 300 pounds. It is suitable for the majority of people and sometimes even allows paddling in pairs. The options contributing to the usability include a footpad to prevent slipping, storage bungee for stowing the gear, and a ring for attaching a surf leash that tethers your SUP to you and keeps it close if you fall off. 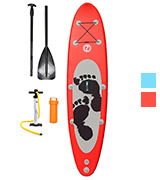 A paddle included in the supply package will save your budget on accessories. As for the inflatable models, a pump and a repair kit will make the use and maintenance of the board much easier. Q: Is stand-up paddleboarding something everyone can do? A: People of almost any age can paddleboard, no matter what level of skills they have. It is relatively easy and most paddlers grasp the basics during the first day of learning. Whether you are an active lifestyle follower or simply like outings and active outdoor pastimes, you will love stand-up paddleboarding. If you decided to get into it, choose the necessary gear and go to the nearest water to start practicing. Q: How long will it take to learn how to paddle? A: Commonly, it doesn’t take much time. With the right paddling gear at hand, the first-time paddlers can stand up on a board, keep their balance, and paddle within about 20 minutes. If you have ever been skating or surfing, paddleboarding will be a breeze for you. Once you master the basics, you can you can further tailor your skills and enjoy fascinating water rides. Q: What are the benefits of paddleboarding? You can even do yoga exercises on your SUP board. Aside from all above-mentioned benefits, you can simply enjoy the sun, water, and cool breeze when paddling. Q: Is it true that a good paddle is as important as a good board? A: Well, it is unreasonable to have a premium board and a low-quality paddle. A good paddle will definitely enhance your paddling experience making it less stressful and fatiguing. If you cruise casually, the choice of a paddle might be more about cost, but if you are a keen stand-up paddler who travels long distances, a light high-quality paddle will make a difference. Q: What is the best material for a paddle? A: There are aluminum, carbon fiber, and wooden paddles and the models made of different material combinations. Experienced paddlers and professionals prefer carbon fiber paddles, owing to their extremely lightweight and rather durable design. 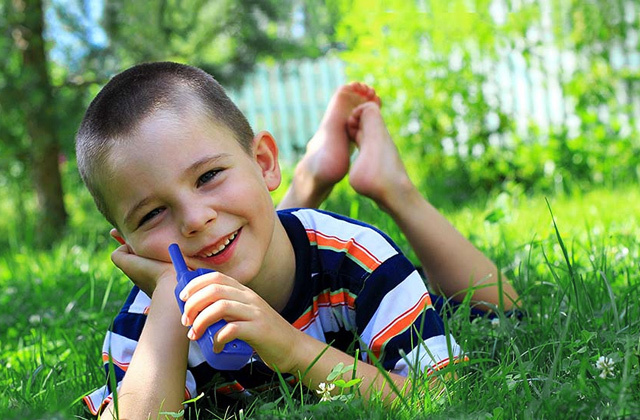 However, an aluminum paddle is more economical and will make an excellent choice for starters or will be a good spare paddle for kids and guests. Wooden paddles can be solid or paired with carbon fiber. Though they are lighter than aluminum, today wooden paddles are not so widely spread. Q: What should I wear when paddling? A: Wear the clothing that is most comfortable and does not restrict your movements. The clothing you choose also depends on weather conditions. So, you can wear shorts and a T-shirt on warm sunny days and long pants and a jacket on a cooler day. Once you’ve got the hang of stand-up paddling, you won't be falling into the water and get soaked. Of course, there is clothing specifically designed for water sports. But it’s not necessary to wear it unless you are planning to paddle on some challenging water or under severe weather conditions. 1. Holly C. Corbett First timer's guide to stand-up paddleboarding, Men’s Fitness. 2. How to Choose SUP Paddles, Eastern Mountain Sports. 3. Stand Up Paddle Boarding (SUP) Basics, REI. November 21, 2016. 4. L.L.Bean Choosing The Right Stand-Up Paddleboard (SUP), L.L.Bean. 5. Paddleboarding, Wikipedia. April 13, 2017. 6. Top 10 Health Benefits of Standup Paddleboarding, Health Fitness Revolution. April 15, 2015. 7. 6 Benefits of Paddleboarding, eBay. March 10, 2016. 8. Stand Up Paddle Boards (SUPs): How to Choose, REI. April 04, 2017. 9. Required Safety Equipment for Paddleboards, FWC.